Corresponding author at: Programa de Pós-Graduação em Ecologia e Conservação da Biodiversidade – Departamento de Ecologia e Botânica, Universidade Federal de Mato Grosso, Cuiabá, MT, Brazil. The agricultural conversion of natural habitats is one of the main drivers of biodiversity loss worldwide. In the ∼2million km2 Brazilian cerrado biome, a global biodiversity hotspot, vast areas have been converted into croplands and cattle pastures. Because the cerrado biome is overwhelmingly contained within private lands, Brazil's environmental legislation should serve as a decisive instrument in protecting these natural ecosystems. We assessed the role of Legal Reserves (LRs), legally defined as the minimum proportion of private landholdings set aside to protect natural vegetation, in the conservation of the cerrado biome. We assume that the property-scale allocation of LRs is primarily based on economic decision-making, creating a bias against cerrado protection. We therefore assessed the area ratio between forest vegetation (FV) and grassland vegetation (GV) areas across LRs within 48,762 landholdings, 9 formal protected areas (PAs) and 34 Indigenous Lands (ILs) within the cerrado (sensu lato) of the 903,357-km2 state of Mato Grosso, Brazil. We show that there are 7.26ha of forest lands for each hectare of native grasslands within private RLs of the cerrado biome within Mato Grosso, a ratio almost three-fold larger than that found in formal PAs and ILs. ILs protect in absolute values (hectares) six-fold more native grassland vegetation than PAs. We discuss the policy relevance of this severe land-use bias in maintaining the heterogeneity of cerrado habitats for biodiversity conservation within private properties, which account for 90% of the entire cerrado biome. Rapid agricultural conversion of natural vegetation is arguably the greatest driver of local extinctions worldwide (Hansen et al., 2013). Conversely, protected areas (PAs) have become the cornerstone of conservation strategies in zoning the large-scale spatial structure of biodiversity loss (Watson et al., 2014). Globally, there has been an overall increase in cropland area from 265million ha in 1700 to 1471 million ha in 1990 and an additional amount of natural vegetation conversion for livestock pastures from 524 to 3451 million ha over the same period (Goldewijk, 2001). Throughout the tropics, cropland areas, mainly for soybean and maize cultivation, have expanded by 48,000km2 each year from 1999 to 2008 (Phalan et al., 2013), with agricultural conversion rates often higher in non-forest areas (e.g. tropical savannas) than in forest environments (Goldewijk, 2001). Brazil is both the world's leading agricultural power in the tropics and the top-ranking nation in terms of tropical terrestrial biodiversity (Hopewell, 2013; Brandon et al., 2005). Much of this biodiversity is contained within the ∼2 million-km2 within the cerrado biome, which is often referred to as the “Brazilian savanna”. The cerrado biome (sensu lato) accounts for over 20% of the Brazilian territory and encompasses a broad spectrum of vegetation types within landscape level macromosaics, including forests, savannas and native grasslands (Ribeiro and Walter, 1998). The cerrado contains the world's most diverse flora in terms of savanna environments (Ratter et al., 1997; Klink and Machado, 2005) and is considered one of the ‘hottest’ global biodiversity hotspots (Myers et al., 2000). Despite this biological importance, the cerrado has lost over 40% of its total extent to croplands and planted exotic pastures in recent decades (Sano et al., 2010), with an annual deforestation rate higher than that reported for the Amazon (Klink and Moreira, 2002). In relation to patterns of land use, conversion into croplands induces greater cerrado habitat fragmentation than livestock pastures (Carvalho et al., 2009; Grecchi et al., 2014). Yet only 2.85% of the Brazilian cerrado is currently comprised of formal protected areas managed by federal or state agencies, such as national parks, state parks and biological reserves, and an additional 4.1% of the total area is encompassed by Indigenous Lands (MMA, 2018; Klink and Machado, 2005). The fate of cerrado biodiversity is therefore inextricably linked to environmental protection within working landscapes managed by private landholdings, which dominate 90% of the entire cerrado biome. More than half (53%) of Brazil's remaining natural vegetation cover is now within private lands (Soares-Filho et al., 2014). The protection of these natural areas is carried out through legal provisions sanctioned by the Brazilian Forest Code, which include both Permanent Preservation Areas (PPAs) and Legal Reserves (LR), which are required to be set aside within private landholdings. PPAs are defined by specific set-aside geographic regulations such as steeply sloped terrains and vegetation along riparian areas along rivers and streams. The proportional area legally designated as LRs depends on the biome where the private property is located (Law 12.727). The state of Mato Grosso is largely located within the “Legal Amazon” political region, where private landholdings within the cerrado phytogeographic region are required to set aside at least 35% of their rural properties as Legal Reserves (Law 12,621/2012). The role of LRs include “… ensuring the sustainable economic use of natural resources of each rural property, assisting the conservation and rehabilitation of ecological processes and promoting biodiversity conservation, as well as sheltering and protecting wildlife and native flora” (Law 12.621/2012). The exact location of any given LR site within a private property is, however, determined by individual landowners, and is often defined as areas of lower agricultural value (Delalibera et al., 2008). Open-habitat areas of natural vegetation therefore succumb to greater rates of agricultural conversion compared to forest environments, not least because they may be easier to clear, this conversion may be less detectable to satellite images, and they are more compatible with higher-revenue economic use (Durigan, 2005). A choice of spatial allocation of property-level set-asides based on logistic or economic factors alone may, however, systematically degrade the biological integrity of otherwise pristine cerrado areas, because high levels of both local and beta diversity are associated with landscape-scale heterogeneity of both forest and non-forest habitats, whose complementarity typically safeguards different sets of species (Mares et al., 1989; Silva and Bates, 2002; Piratelli and Blake, 2006). The 903,357-km2 central Brazilian state of Mato Grosso is now the world's leading subnational unit in terms of soybean and beef production. Natural vegetation within this state has been rapidly converted into farmland, particularly soybean monoculture and cattle pastures (Silva Junior and Lima, 2018). Here, we summarize the current status of different vegetation types within the cerrado region (sensu lato) of Mato Grosso. We assume that formally designated protected areas, including federal and state reserves and Indigenous Lands, retain an adequate baseline habitat heterogeneity in terms of the cerrado natural habitat macromosaic, including the background ratio between forest and non-forest environments, thereby ensuring high levels of habitat and species diversity. In contrast, we hypothesize that Legal Reserves within private properties will retain proportionally smaller areas of naturally open cerrado habitats compared to formal protected areas, not least because of decision-making rules based on land-use revenues. We therefore assessed the total area of forest cover that has been retained for each corresponding area of native grassland vegetation within Protected Areas, Indigenous Lands and Legal Reserves located within the entire cerrado biome of Mato Grosso. We disregard riparian PPAs as a spatial zoning instrument to protect lowland forest in this assessment because their location is predetermined by the baseline spatial distribution of the river/stream network of any given landscape, rather than decided by the landowner. Finally, we discuss the effectiveness of Legal Reserves in protecting cerrado habitat and propose alternatives that can enhance existing legislation governing countryside conservation planning. This analysis focused on the state of Mato Grosso in the epicenter of South America, and central-western Brazil (Fig. 1). The cerrado biome occupies the central portion of this state, bordering the Pantanal to the south and Amazonia to the north. We considered land cover data provided by MapBiomas (http://mapbiomas.org/), a highly credible source of classified and georeferenced land-use data based on LANDSAT that is available for the whole of Brazil at a 30-m resolution. The MapBiomas classification is generated from annual land cover and land use maps from an automatic classification routine applied to satellite images with 88.3% accuracy for the entire cerrado biome (http://mapbiomas.org/pages/accuracy-analysis). According to the MapBiomas (collection 2.0), the Classification of Dense Forests (class 3) is dominated by a continuous canopy tree formation (riparian forest, gallery forest, dry forest and cerradão). The Classification of Open Forests (class 4) contains arboreal and shrub strata defined as Cerrado Strictu sensu (including Cerrado denso, Cerrado típico, Cerrado ralo and Cerrado rupestre vegetation). The non-forest natural formations are native grassland formations (class 12) where a herbaceous stratum is most prevalent and consists of campo rupestre, campo sujo and campo limpo. Anthropogenic use such as exotic cattle pastures (class 15) are areas of planted pastures and cropland use, for which it was not possible to distinguish between pasture and cropland (class 21). In order to summarize the current status of the cerrado macromosaic within the entire state of Mato Grosso, three broad and mutually exclusive vegetation classes were considered (forest, savanna, and native grassland). To assess the ratio between forest and nonforest areas these land cover classes were further coalesced, whereas non-forest vegetation was represented by native grasslands (sensu stricto). All land cover data was extracted on the basis of imagery available from the year 2016. 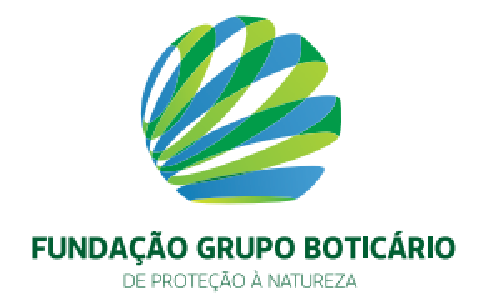 Protected area (PA) polygons were obtained from the Brazilian Ministry of the Environment website (http://www.mma.gov.br/areas-protegidas/cadastro-nacional-de-ucs/dados-georreferenciados). For this study, nine (9) protected areas were considered (Serra das Araras Ecological Station, Águas Quentes State Park, Araguaia State Park, Dom Osório Stoffel State Park, Serra Azul State Park, Águas do Cuiabá State Park, Chapada dos Guimarães National Park, Corixão da Mata Azul Wildlife Refuge and Iquê Ecological Station). We also considered all Indigenous Lands (IL) embedded within the state of Mato Grosso, whose polygons were obtained via the Fundação Nacional do Indio website – FUNAI (http://www.funai.gov.br/index.php/shape). In total, we considered data for the following 34 Indigenous Lands: Enawene-Nawe, Menku, Nambikwara, Pirineus de Souza, Tirecatinga, Utiariti, Paresi, Juininha, Estivadinho, Rio Formoso, Figueiras, Bakairi, Marechal Rondon, Ubawawe, Chão Preto, Merure, São Marcos, Areões, São Domingos, Urubu Branco, Tapirapi Karaja, Jarudore, Tadarimana, Parabubure, Pimentel Barbosa, Karajá de Aruana II, Krenreh, Irantxe, Maraiwatsede, Parque do Aripuanã, Sangradouro Volta Grande, Teresa Cristina, Taihantesu, and Vale do Guaporé. We also considered all Legal Reserve (LR) areas within a total of 48,761 private landholdings within the cerrado biome region of the state of Mato Grosso, which were obtained via the Rural Environmental Registry of the Brazilian Ministry of Agriculture website (http://www.car.gov.br/#/). We considered only the cerrado (sensu lato) area within all PA and IL polygons that partly straddled the boundaries of a neighboring biome (e.g. Amazonia and Pantanal). The Legal Reserve (LR) polygons were originally extracted for each of the 173 municipal counties of Mato Grosso overlapping the cerrado biome, and then were coalesced into a single geographic database (Fig. 1). Mutually exclusive vegetation classes were extracted from the cerrado raster for each of the polygons of interest (PAs, ILs, and LRs) using the ArcMap 10.2 software. Using the attribute table of each land-use category, it was possible to count the number of forest, savanna and native grassland pixels retained as of 2016 within each polygon. The values obtained for PAs, ILs and LRs for each vegetation class were initially extracted as the total number of pixels and then converted into hectares (each pixel≈0.09ha). After obtaining the number of hectares of forest and non-forest grassland vegetation for each PA, IL and LR, we extracted a natural habitat ratio by dividing the number of hectares of forest vegetation by the number of hectares of grassland vegetation. We therefore obtained data on how many hectares of forest vegetation are available for each hectare of grassland vegetation for the combined areas of Protected Areas, Indigenous Lands and Legal Reserves within private landholdings within the widely accepted cerrado biome of the entire state of Mato Grosso, Brazil. Based on the data provided by MapBiomas, we also evaluated documented changes in land use within the cerrado of Mato Grosso. We converted all pixels to their absolute values in hectares of forest (dense forest), savanna (open forest), native grassland (grassland vegetation), planted pasture (pasture) and cropland for the years 2000 and 2016 and subsequently we obtained the percentage values of either loss or gain of each land-cover class of interest during this 16-year time frame. The cerrado of Mato Grosso encompasses a total area of 36,602,975ha which is comprised of 27% of forest, 20% of savanna, 11% of native grasslands, 22% of planted pastures, 17% of annual croplands and 3% of rotational pasture croplands. Considering the three conservation governance types of interest in this study, Legal Reserves contain 48% of forest, 28% of savanna, 10% of native grasslands, 10% of agricultural use and 4% of any other use. Indigenous Lands contain 43% of forest, 30% of savanna, 21% of native grasslands, 4% of cropland use, and 2% of other uses. State and federal protected areas contain 50% of forest, 16% of savanna, 28% of native grasslands, 3% of cropland use, and 3% of other uses. These values were converted into hectares for the three vegetation types of interest in this study (forest, savanna, and native grassland) within the three sampling units in the cerrado of Mato Grosso – LRs, IL and PA (Fig. 2). When we assessed how much of the three governance types evaluated in this study represent across the total cerrado area of Mato Grosso, private LRs represented 22% of the total area, whereas ILs and PAs represented 12% and 1.6%, respectively. Of the remaining 64.4%, 41% has now been allocated to agricultural use. The distribution of the three main vegetation categories throughout the cerrado biome within the state of Mato Grosso (top horizontal bars), compared to those in the three protected area governance types, including Legal Reserve set-aside within private landholdings; Indigenous Lands managed by FUNAI; and Protected Areas managed by state and federal agencies. Values inside horizontal bars correspond to the total extent (in hectares) of each land cover type. For each hectare of open grassland vegetation (GV) within Legal Reserves of the cerrado of Mato Grosso there are 7.6ha of forest vegetation (FV). In non-private conservation areas, however, this ratio is reduced to 3.35ha of FV for each hectare of GV in Indigenous Lands and 2.38ha of FV for each hectare of GV in formal protected areas managed by either state or federal agencies. Between the years of 2000 and 2016 the cerrado of Mato Grosso underwent severe transformations in land use, a geopolitical process that historically began four decades earlier with the central relocation of Brazil's capital city from Rio de Janeiro to Brasília. Over this 16-year period, there was an overall reduction of 16.5% of forest and 22% of native grassland, and an increase of 4.1% of open forest, 14.9% of planted pasture and an impressive increase of 111.1% of mostly monoculture croplands. Considering only those vegetation classes that had decreased in total area, absolute values were ∼1,958,289ha of forest (equivalent to a mean conversion rate of ∼122,393ha/year) and ∼1,131,519ha of native grassland (or ∼70,720ha/year) transformed into other land uses, and at that mainly cropland (Fig. 3). (a) Land cover change within the cerrado biome of the state of Mato Grosso, Brazil over a 16-year period (2000–2016). (b) Horizontal bars illustrate changes in hectares for different land cover types. Black and gray horizontal bars indicate the years 2000 and 2016, respectively. Almost 20% of the all native grassland of the entire Brazilian cerrado biome is located within the state of Mato Grosso. This state also hosts the most aggressive and rapidly expanding agricultural frontier in Brazil, accounting for most of the Brazilian growth in beef and soya exports over the last three decades (Lapola et al., 2014). We should therefore be at least aware of the legal framework protecting cerrado vegetation within Brazil's third largest state. Our results show that more than half (52%) of the entire area of Mato Grosso native grasslands is protected within LRs, ILs and PAs. Among these three protection denominations, Indigenous Lands have the largest importance for the maintenance of native grassland in the cerrado of Mato Grosso, as these areas still retail 26% of all native grasslands remaining in this state. Our results corroborate our working hypothesis, confirming that currently recognized Indigenous Lands and more formal Protected Areas (under the SNUC Protected Areas Law) represent the best existing model in terms of the remaining habitat heterogeneity within the cerrado of Mato Grosso, as ILs and PAs safeguard a more balanced ratio between native grassland and forest areas (1/3.35 and 1/2.38, respectively). In contrast, the ratio we uncovered between native grassland and forest vegetation within Legal Reserves (1/7.6) across nearly 49,000 rural landholdings reinforces the notion that landowner selectivity of property areas to be set-aside as LRs is based primarily on economic decisions. This non-random anthropogenic ‘truncation’ of the natural habitat matrix homogenizes the structure of cerrado vegetation, severely biasing against native grassland vegetation. In fact, this higher than expected systematic replacement of naturally open vegetation environments – including prairies and open savannas – with agricultural areas, rather than being unique to the Brazilian cerrado, reflects a long-standing global trend that is often driven by rural enterprises (Stevens et al., 2017). We present clear evidence that 22% of all native grasslands in the cerrado of Mato Grosso were lost in the 2000–2016 period. This land use substitution was overwhelmingly due to anthropogenic habitat conversion (Grecchi et al., 2014). However, any possibility of avoiding conversion of natural areas into planted pastures and croplands have been largely neglected. Technological improvements in the bovine livestock sector have shown substantial increases in productivity per unit area and replacing existing planted pasture areas by higher-revenue croplands pave the way to a scenario of zero deforestation, as recently proposed (Sparovek et al., 2018). Annual rates of native grassland conversion into agriculture show that an area equivalent to all native grassland available across all PAs of the cerrado of Mato Grosso is converted into other land uses in less than 3 years. We document an increase of 111% of cropland and 14.9% of planted pasture areas over 16 years in the cerrado, corroborating other studies that evaluate the land use transformation in this biome (Grecchi et al., 2014; Beuchle et al., 2015; Garcia and Ballester, 2016). We can therefore categorically confirm that cropland and planted pasture expansion of commodity-oriented land use – in arguably the world's largest agricultural frontier – has clearly advanced relentlessly at the expense of natural cerrado areas. This prioritization by forest environments within Legal Reserves of private landholdings overlapping the cerrado biome can lead to significant loss of biodiversity. Measures that include the protection of native grasslands within private properties through Legal Reserves are necessary, since the total number or total area of protected areas alone are insufficient, and fail to reach 10% of the cerrado biome (Klink and Machado, 2005; MMA, 2018). In addition, protected areas are originally designed and sited non-randomly, and their location is based on economic factors, often located on nutrient-poor soils and/or dissected by steep topography (Pressey, 1994). Tubelis and Cavalcanti (2000) evaluated the bird community of the cerrado and proposed an increase in Permanent Preservation Areas, thereby including marginal grasslands and savanna areas. This measure would ensure the maintenance of the habitat heterogeneity required by bird communities of the cerrado. Batalha et al. (2010) showed the importance of naturally open-habitat areas in retaining the functional diversity of cerrado birds, reinforcing the importance of creating mechanisms that can ensure the protection of these environments. In general, adequate protection of non-forest environments has been widely and systematically neglected in Brazil (Overbeck et al., 2015), and new policy mechanisms should be urgently implemented to hold on to much of the remaining open vegetation areas in the country. A critical issue in terms of maintaining open natural habitats is fire suppression and management (Bond and Parr, 2010). Fire is an important management tool for protected areas in Africa, thus avoiding the directional transformation of savanna areas into forest environments through ecological succession (Bond and Archibald, 2003). The cerrado vegetation is widely considered to be a fire-climax ecosystem (Simon and Pennington, 2012) and when this vegetation no longer experiences episodic fires, it is gradually transformed from open habitats into more forested areas (Moreira, 2008; Geiger et al., 2011; Durigan and Ratter, 2006). The cerrado avifauna, for example, is adapted to wildfires (Cavalcanti and Alves, 1997), and the same can be said about much of the cerrado biota. Fires can, for example, increase the diversity of food items consumed by birds (Reis, 2015). Abreu et al. (2017), evaluating the effects of fire suppression in the cerrado over a 30-year period, found that 27% of plant species and 35% of ant species were extirpated. Despite existing legal restrictions, management measures using controlled fires can maintain the natural heterogeneity of the cerrado, and this should be taken into account in managing protected areas and legal reserves within private properties (Durigan and Ratter, 2016). The conspicuous absence or poor representation of grassland environments in Legal Reserves can compromise cerrado biodiversity persistence, since many taxonomic groups are strictly dependent on this environment. This habitat dependence is described, for example, for plants (Furley, 1999), dung beetles (Silva et al., 2010) and birds, for which Silva (1995) classifies 27.4% of the entire cerrado avifauna as open-vegetation species. Given these shortfalls, the Legal Reserve mechanism of the Brazilian Forest Code fails to properly ensure the protection of open environments and its specialized biota because private landowners systematically prioritize protection of forest environments. In addition, a Legal Reserve area consisting of grassland environments can gradually transition into a forest environment, if fire suppression practices are consistently deployed over the years (Durigan and Ratter, 2016). The failure of Law No. 12,727 of the Forest Code, which encourages a systematic bias in overprotecting forest habitats, could be adjusted through state-level laws and decrees. However, according to Complementary Law No. 592, dated 26 May 2017, and Decree No. 1491, of 15 May 2018, there are no provisions for the specific maintenance of the heterogeneity of cerrado vegetation. Moreover, considering Legal Reserves in open grassland environments, a maximum of 50% of exotic vegetation is permitted for the restoration of these environments whenever necessary, according to article 75 (paragraph 3) of Decree 1491. Yet another legislative threat to cerrado grassland environments has therefore been sanctioned by the current state legislation of Mato Grosso. This legal provision allows the widespread introduction of exotic species, resulting in further biodiversity loss in grassland environments (Tubelis and Cavalcanti, 2000; Klink and Machado, 2005; Almeida et al., 2011). We conclude that the protection of cerrado grassland environments within Legal Reserve set-asides by thousands of private landowners across Mato Grosso and 10 other Brazilian states containing portions of cerrado vegetation cannot be ensured by existing legislation in Brazil. Despite critical reviews of the current version of the Forest Code (e.g. Brancalion et al., 2016), it is necessary to address specific issues related to non-forest environments (Overbeck et al., 2015), which in Brazil have always been considered synonymous with potential farmland. Despite our simplistic analytical approach, our results can inform the elaboration of more effective environmental policy that consider the full spectrum of vegetation types within the greater cerrado biome. These conclusions add to a global pattern of high conversion rates of grassland environments to crops and planted pastures (Goldewijk, 2001). To maintain global biodiversity, native grassland environments cannot continue to be neglected (Bond and Parr, 2010; Parr et al., 2014; Murphy et al., 2016), and effective enforcement of appropriate environmental legislation should reconsider this important habitat. To CAPES for the doctoral scholarship in Brazil (JB) and the PDSE/CAPES program for the sandwich doctorate scholarship at the University of East Anglia – UK (JB, FRT). This research was funded by the Research Network for the Sustainable Use and Conservation of the Cerrado (ComCerrado) and Fundação de Amparo à Pesquisa do Estado de Mato Grosso – FAPEMAT (EDITAL UNIVERSAL 003/2014, no. 156666/2014). JB thank to CAPES for the doctoral scholarship in Brazil and the PDSE/CAPES program for the sandwich doctorate scholarship at the University of East Anglia – UK. FRT thank to FAPEMAT for the doctoral scholarship in Brazil and the PDSE/CAPES program for the sandwich doctorate scholarship at the University of East Anglia – UK. R.C. Abreu, W.A. Hoffmann, H.L. Vasconcelos, N.A. Pilon, D.R. Rossatto, G. Durigan. The biodiversity cost of carbon sequestration in tropical savanna. S. Almeida, J. Louzada, C. Sperber, J. Barlow. Subtle land-use change and tropical biodiversity: dung beetle communities in cerrado grasslands and exotic pastures. M.A. Batalha, M.V. Cianciaruso, J.C. Motta-Junior. Consequences of simulated loss of open cerrado areas to bird functional diversity. R. Beuchle, R.C. Grecchi, Y.E. Shimabukuro, R. Seliger, H.D. Eva, E. Sano, F. Achard. Land cover changes in the Brazilian Cerrado and Caatinga biomes from 1990 to 2010 based on a systematic remote sensing sampling approach. Confronting complexity: fire policy choices in South African savanna parks. Beyond the forest edge: ecology, diversity and conservation of the grassy biomes. K. Brandon, G.A.B. da Fonseca, A.B. Rylands, J.M.C. da Silva. F.M.V. Carvalho, P. De Marco, L.G. Ferreira. The Cerrado into-pieces: habitat fragmentation as a function of landscape use in the savannas of central Brazil. Effects of fire on savanna birds in central Brazil. DECRETO N° 1.491, DE 15 DE MAIO DE 2018 – Regulamenta a Lei Complementar n° 592, de 26 de maio de 2017, no tocante as formas de regularização ambiental nos imóveis rurais e altera dispositivos do Decreto n° 1031 de 02 de Junho de 2017. http://app1.sefaz.mt.gov.br/Sistema/legislacao/legislacaotribut.nsf/7c7b6a9347c50f55032569140065ebbf/fdefd14c19539cce8425828f005a6fcc?OpenDocument#_18h2k6ki5ah7i0jl740oisd1p64m20h2540oja8248kg4qga99sg48_ (accessed 16.07.18). H.C. Delalibera, P.H. Weirich Neto, A.R.C. Lopes, C.H. Rocha. Alocação de reserva legal em propriedades rurais: do cartesiano ao holístico. Restauração da cobertura vegetal em região de domínio do Cerrado. Successional changes in Cerrado and Cerrado/Forest ecotonal vegetation in Western São Paulo State Brazil, 1962–2000. The need for a consistent fire policy for Cerrado conservation. The nature and diversity of neotropical savanna vegetation with particular reference to the Brazilian cerrados. Land cover and land use changes in a Brazilian Cerrado landscape: drivers, processes, and patterns. E.L. Geiger, S.G. Gotsch, G. Damasco, M. Haridasan, A.C. Franco, W.A. Hoffmann. Distinct roles of savanna and forest tree species in regeneration under fire suppression in a Brazilian savanna. Estimating global land use change over the past 300 years: the HYDE database. R.C. Grecchi, Q.H.J. Gwyn, G.B. Bénié, A.R. Formaggio, F.C. Fahl. Land use and land cover changes in the Brazilian Cerrado: a multidisciplinary approach to assess the impacts of agricultural expansion. M.C. Hansen, P.V. Potapov, R. Moore, M. Hancher, S.A. Turubanova, A. Tyukavina, D. Thau, S.V. Stehman, S.J. Goetz, T.R. Loveland, A. Kommareddy, A. Egorov, L. Chini, C.O. Justice, J.R.G. Townshend. New protagonists in global economic governance: Brazilian agribusiness at the WTO. Past and current human occupation and land-use. A conservação do Cerrado brasileiro. D.M. Lapola, L.A. Martinelli, C.A. Peres, J.P.H.B. Ometto, M.E. Ferreira, C.A. Nobre, A.P.D. Aguiar, M.M.C. Bustamante, M.F. Cardoso, M.H. Costa, C.A. Joly, C.C. Leite, P. Moutinho, G. Sampaio, B.B.N. Strassburg, I.C.G. Vieira. Pervasive transition of the Brazilian land-use system. LEI N° 12.727. http://www.planalto.gov.br/ccivil_03/_ato2011-2014/2012/lei/l12727.htm (accessed 16.07.18). LEI COMPLEMENTAR N° 592, DE 26 DE MAIO DE 2017. http://app1.sefaz.mt.gov.br/0425762E005567C5/9733A1D3F5BB1AB384256710004D4754/2934486634343A9C8425812F005B9C6E (accessed 16.07.18). M.A. Mares, J.K. Braun, D. Gettinger. Observations on the distribution and ecology of the mammals of the cerrado grasslands of central Brazil. MMA, 2018. Website of Ministério do Meio Ambiente. Bioma Cerrado. http://www.mma.gov.br/biomas/cerrado (accessed 16.07.18). Effects of fire protection on savanna structure in central Brazil. B.P. Murphy, A.N. Andersen, C.L. Parr. The underestimated biodiversity of tropical grassy biomes. N. Myers, R.A. Mittermeier, C.G. Mittermeier, G.A.B. Fonseca, J. Kent. G. Overbeck, E.V. Elez-Martin, F.R. Scarano, T.M. Lewinsohn, C.R. Fonseca, S.T. Meyer, S.C. Muller, P. Ceotto, L. Dadalt, G. Durigan, G. Ganade, M.M. Gossner, D.L. Guadagnin, K. Lorenzen, C.M. Jacobi, W.W. Weisser, V.D. Pillar. Conservation in Brazil needs to include non-forest ecosystems. C.L. Parr, C.E. Lehmann, W.J. Bond, W.A. Hoffmann, A.N. Andersen. Tropical grassy biomes: misunderstood, neglected, and under threat. B. Phalan, M. Bertzky, S.H.M. Butchart, P.F. Donald, J.P.W. Scharlemann, A.J. Stattersfield, A. Balmford. Crop expansion and conservation priorities in tropical countries. Bird communities of the South-eastern Cerrado region, Brazil. Ad hoc reservations: forward or backward steps in developing representative reserve systems?. J.A. Ratter, J.F. Ribeiro, S. Bridgewater. The Brazilian cerrado vegetation and threats to its biodiversity. Efeitos do Fogo sobre Assembleias de Aves de Cerrado. Tese de Doutorado. E.E. Sano, R. Rosa, J.L.S. Brito, L.G. Ferreira. Land cover mapping of the tropical savanna region in Brazil. Birds of the Cerrado region, South America. Biogeographic patterns and conservation in the South American Cerrado: a tropical savanna hotspot. R.J. Silva, S. Diniz, F.Z. Vaz-de-Mello. Heterogeneidade do habitat, riqueza e estrutura da assembléia de besouros rola-bostas (Scarabaeidae: Scarabaeinae) em áreas de cerrado na Chapada dos Parecis, MT. C.A. Silva Junior, M. Lima. Evidence for adaptation to fire regimes in the tropical savannas of the Brazilian Cerrado. G. Sparovek, V. Guidotti, L.F.G. Pinto, G. Berndes, A. Barretto, F. Cerignoni. Asymmetries of cattle and crop productivity and efficiency during Brazil's agricultural expansion from 1975 to 2006. N. Stevens, C. Lehmann, B. Murphy, G. Durigan. Savanna woody encroachment is widespread across three continents. A comparison of bird communities in natural and disturbed non-wetland open habitats in the Cerrado's central region. J.E.M. Watson, N. Dudley, D.B. Segan, M. Hockings. The performance and potential of protected areas.